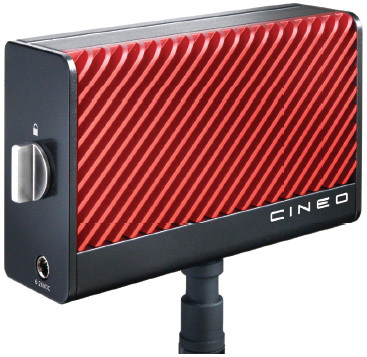 The Cineo Matchbox is the latest in versatile, portable Remote Phosphor Lighting for motion picture and television production. At 3.25" x 5.25" x 1.5" and 15 oz, the Matchbox outputs a stunning amount of high-quality light at a variety of accurate interchangeable colour temperatures. A wide range of input power lets you run Matchbox on any input voltage from 6-26 VDC as well as AC with the included adapter. 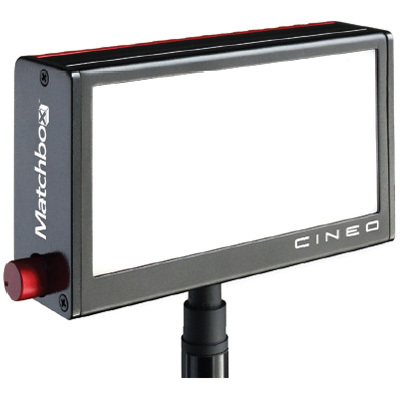 The Matchbox includes an on-board 0-100% flicker-free dimmer that works inconjunction with upstream DMX or remote dimmers. 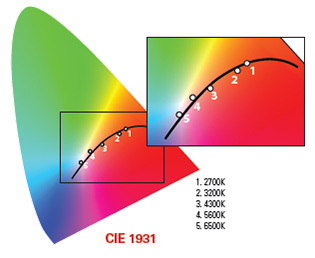 Available in a variety of colour temperatures, the colour quality perfeclty matches other Cineo soft lights. The bottom of the fixture includes a standard 1/4"-20 tap, allowing for limitless mounting options. Ruggedly built from anodized aluminum, these small sources can easily withstand the most demanding applications in both the field and the studio. Lamphead Dimensions: 3.25" x 5.25" x 1.5"